The brutality of the 1905 Revolution and the subsequent punitive expeditions in the Baltic provinces of the Russian Empire saw frequent coverage in European and American newspapers, even after the worst of the repressions were over. A little-known writer who immigrated to the United States more than a century ago helped build a collection of Latvian books in the Chicago Public Library, but failed in his efforts to bring bibliographic and orthographic reform to his homeland. On the first Saturday of November 1897, a group of Latvians gathered in an apartment on Natoma Street in downtown San Francisco. Their goal was to elect five members to the board of the newly formed Lettonian Society “Latonia” of San Francisco — the first Latvian organization on the west coast of the United States. “If any one wants an experienced skipper for sailing craft and a crew of seven able bodied seamen to sail any old sea on the face of the map they can get such a company right now at this port, for Capt. T. Krastin and his crew are without ship or employment.” So began a January 19, 1906, story in The Sun, a daily newspaper in New York City. It told of the “strange shipwreck yarn” of the captain and crew of the Kauss, a three-masted wooden schooner typical of the kind built during the late 19th and early 20th centuries in the Baltic Sea region. The image shows a dapper man with a mustache, a cigarette in his left hand, posing in a photographer’s studio. Although the monochrome photograph does not reveal it, he was short — just 5 feet, 4 inches (about 162 cm) — with brown hair and blue eyes. 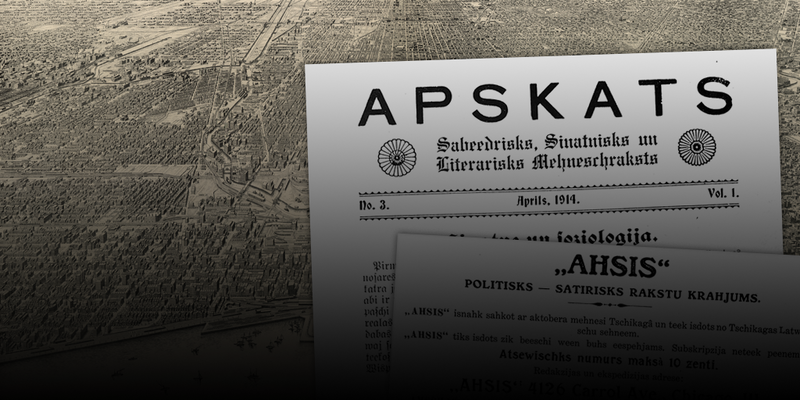 His name, if we are to believe what was published in newspapers following his two daring attempts to escape American authorities, was Max Selling and he was a Latvian anarchist. A series of ritualistic murders keep a slightly older Detective Inspector Irene Huss busy as she continues to balance the demands of a two-career family in one of the most recent crime novels by Swedish writer Helene Tursten to be translated into English. Two decades ago, I taught myself how to create websites using Hypertext Markup Language (HTML) and Cascading Style Sheets (CSS). Come fall semester, I again will be teaching undergraduates how to do the same. To brush up on some of the latest thinking about how best to blend HTML and CSS to reach a desired outcome, I picked up Rachel Andrew’s The New CSS Layout. By Kati Hiekkapelto, published 2014 by Arcadia Books Ltd..
By Vita Zelče, ed., published 2018 by Latvijas Universitāte. By Michiko Kakutani, published 2018 by Tim Duggan Books.